In development of a zero net greenhouse gas (GHG) emissions economy Sweden is one of the world leaders, while Australia among OECD countries is right back in the rear. For a week in November 2018 I was at the European Biomass Power conference in Stockholm learning how the Swedes manage to get over 50% of all their consumed energy from renewable sources. And the largest part of this (at 37%) is from a renewable source that puzzlingly is rarely mentioned in Australia: biomass. Over ten years biomass became Sweden’s largest single source of consumed energy – moving ahead of nuclear, hydro or oil. Largely because of this, Sweden’s per-capita GHG emission is about 6 tonnes per year and reducing. GHG emissions and the Swedish GDP are now clearly decoupled, and GDP continues to rise as emissions fall. The major driver for achieving all of this is Sweden’s simple and now very high carbon tax, introduced in 1991 when a number of other taxes were replaced or reduced, meaning that overall tax impost on any individual or family was not increased. The new biomass fueled Varterverket combined heat and power plant in northern Stockholm fueled by about a million tonnes of forestry residues coming a year, by train and by barge. To be not so obtrusive it is sunk 5-6 stories deep into the rock it stands on. 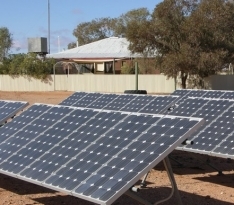 The output is enough to supply about 160,000 households with power and about 190,00 with heat. Photo: Andrew Lang. Technologies have been available for many years to utilise the many types of biomass to produce all three forms of energy. 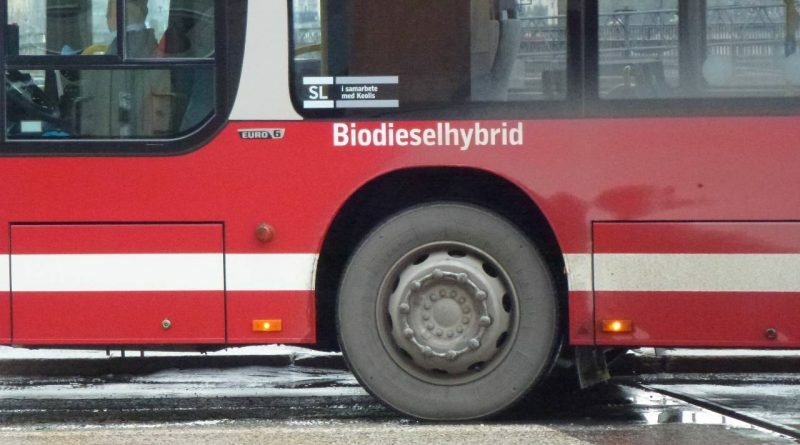 So in Stockholm and the other larger Swedish cities most buses run on biofuels, including compressed methane produced from city sewage and food wastes. Over 50% of residential and industry heat in Sweden comes from district heating or from combined heat power plants fuelled by biomass or municipal waste (and over half of MSW is biomass). And up to 10% of power needs are also supplied from these plants (versus about 0.9% in Australia). This biomass power share continues to rise as biomass-fuelled combined heat and power plants are constructed to replace power from the four nuclear reactors planned for closure. In its share of electricity produced from biomass, Sweden sits level with Austria at 7%, while in Germany it is 10%, Denmark 11.5%, and Finland leads at over 13% (not including power produced from peat). All of these countries are presently investing heavily in biomass-fuelled combined heat and power plants. Overall, of investment into renewables across the EU, the renewable sector receiving the largest flow of investment is bioenergy. 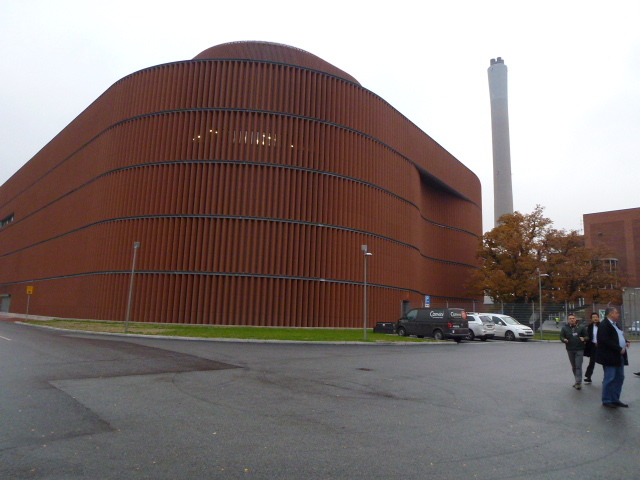 The latest of Sweden’s biomass-fuelled combined heat and power plants is the Vartaverket plant, which was commissioned in early 2016 in northern Stockholm. 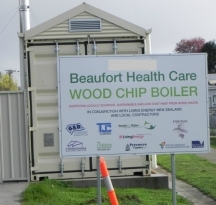 This cutting-edge plant uses about a million tonnes a year of woodchip to produce up to 145 MW of power and 200 MW of heat. It has an efficiency of conversion of fuel to utilised energy of over 90%. This carbon-neutral energy output is estimated to supply power to 160,000 households and heat to about 190,000 households. Stockholm’s population is about 1.5 million, or about 600,000 households, and with the addition of this new plant to other biomass and biowaste-fuelled plants producing power and heat located around the city fringes, biomass now supplies nearly all Stockholm’s domestic, commercial and institutional heat needs, and supplies perhaps half of the city’s electricity needs. Biomass is the source of power or fuels for most of Stockholm’s public transport system, as well as a significant fraction of taxis and private vehicles. 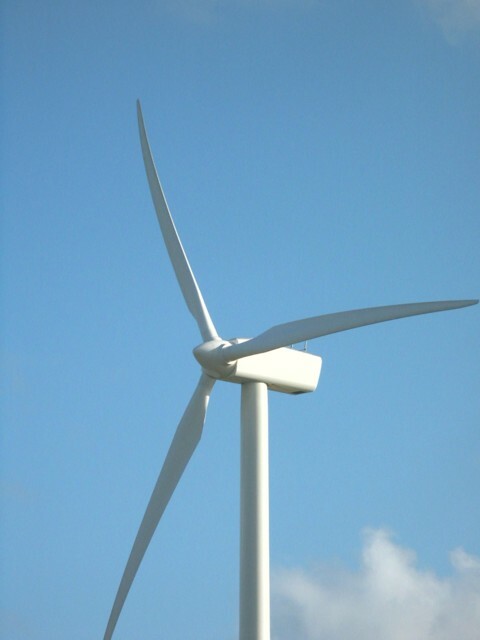 Sweden achieved its EU renewable energy obligation for 2020 way ahead of time in 2012. It is already well on the way by 2018 to meeting its 2030 renewable energy share and GHG emission reduction target. While most of the scope for production of renewable heat needs has been achieved using biomass and biowaste and heat pumps, a big focus area now is on replacement of fossil transport fuels with biofuels. While the 2020 target for EU member countries for 2020 is for 10% blending of biofuels, in Sweden by 2017 nearly 21% by volume of all fuels used were biofuels. The stated aim by 2035 is to be using no fossil transport fuels, as part of a policy to cease all import of fossil fuels – including coal, oil and gas. Stockholm City intends phasing out all use of fossil fuels by 2030, and cease using coal by 2022. Sweden, with its population of nearly 10 million in an area about double the size of Victoria, currently utilises about 5.3 million tonnes a year of non-recyclable combustible wastes to produce heat and power. This means only about 2% of MSW now goes to landfill. By contrast Australia puts about 12 million tonnes/year of equivalent material (usually 50-65 % biomass) into landfills. 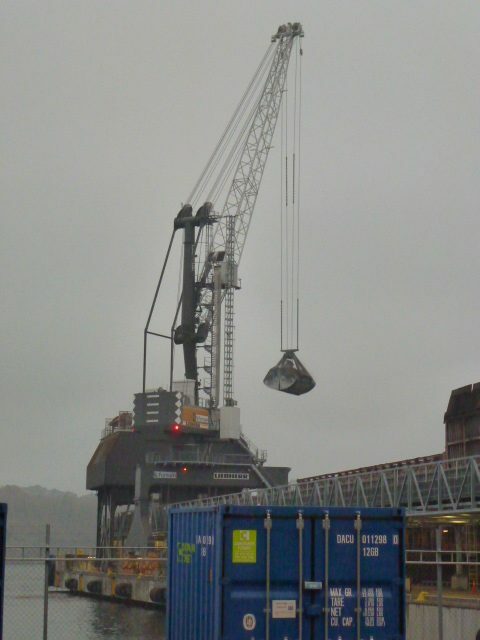 Crane and grab unloading a barge carrying 10,000 tonnes of chip, into a major conveyor system going underground to the power plant. Ash comes back the other way and is taken away by rail or ship and is increasingly returned to forests. Photo: Andrew Lang. Biomass is something that Australia has in abundance, and certainly enough to match the energy production seen in Sweden. Using the mature technologies commonly in use in almost all other OECD countries and in many developing countries, biomass could be similarly used here to produce all three forms of energy: baseload or dispatchable power, industry process heat for half the cost of natural gas, and cost-competitive transport fuels. As well, bioenergy, per unit of energy produced, is by far the biggest creator of permanent jobs. The potential of bioenergy (including energy from bio-wastes) in Australia is to provide over 30% of energy needs (including over 15% of power requirements on-demand or as baseload supply), support rural economies, sequester significant atmospheric CO2, and create thousands of permanent jobs. Andrew Lang is the World Bioenergy Association senior consultant and chair of Farm Forest Growers Victoria.